Today I will talk about Windows SmartScreen Fliter and how to disable SmartScreen Fliter. SmartScreen Filter is a Windows security feature that helps to protect the computer from downloading unrecognized and unsafe applications or installing malicious programs. 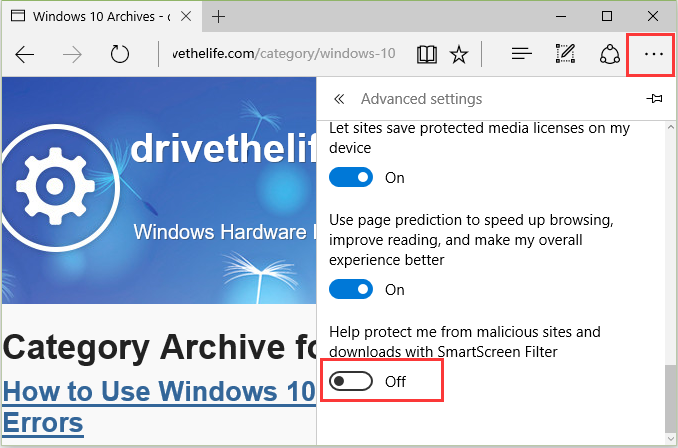 Though the SmartScreen Filter is such a security layer built into Windows OS, like Windows 10, 8, 7, etc., you may not like the annoying warnings when you are sure what you are installing or running is safe to Windows. 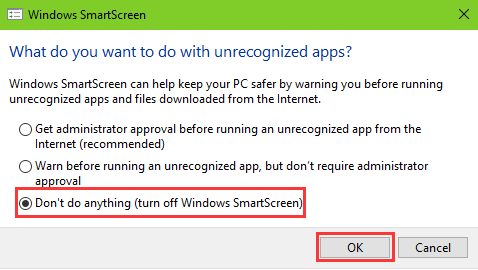 If you don’t like such Windows feature, here I will introduce to you how to disable SmartScreen Filter on Windows OS. There are different ways for different Windows OS to disable SmartScreen Filter, and you can choose one adapting to your Windows OS. Note: You’d better back up drivers, documents and other important data before the system changes. It is also recommended to create a system restore point in case any issues like graphics error, MSVCP110.dll missing error, etc. occur. On Windows 7 or XP, you can turn off or disable SmartScreen Filter in Internet Explorer, which is also available for the upper version of Windows. 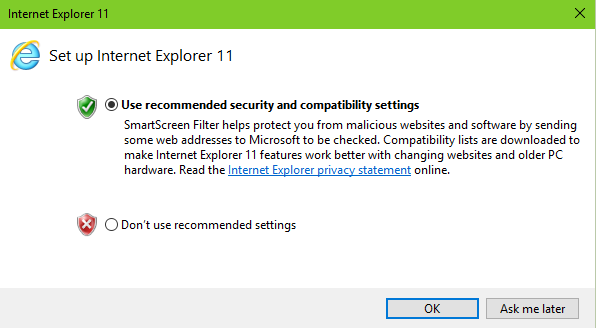 The Internet Explorer has experienced several versions: 8, 9, 10 and 11, so the process of disabling SmartScreen Filter may vary slightly. Take the Internet Explorer 11 as an example. Step 1: Click Tools on the Menu bar (or click the gear icon to select Safety). 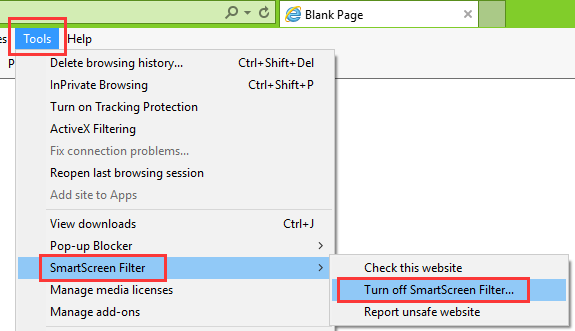 Step 2: Go to SmartScreen Filter and select Turn off SmartScreen Filter. 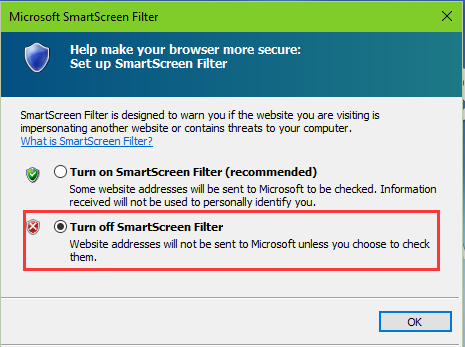 Step 3: Choose Turn off SmartScreen Filter in the pop-up dialog and click OK to disable SmartScreen Filter. Step 1: Launch Microsoft Edge and click More button (with three points) at the top right corner. Step 2: Select Settings from the drop-down menu and then scroll down to select View advanced settings. Step 3: Scroll down the menu to the bottom and turn off SmartScreen Filter. You have access to disable SmartScreen Filter in Control Panel on Windows 8 and the upper Windows versions. Step 1: Use Windows shortcut keys Win + X to launch the quick menu and select Control Panel. Step 2: Select System and Security and then click Security and Maintenance. 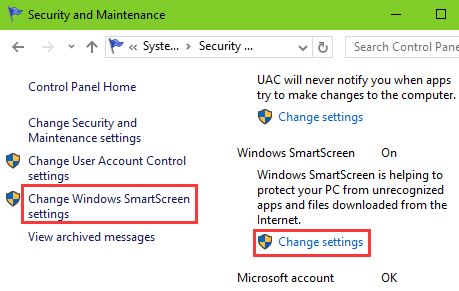 Step 3: Click Change Windows SmartScreen settings link in the left column (or expand Security in the right column and scroll down to find Windows SmartScreen, and then choose Change settings). Step 4: Disable SmartScreen Filter by choosing the last option. Make sure you perform the following changes as Administrator. Note: Windows Home edition has no access to this method. Step 1: Use Windows shortcut keys Win + R to launch Run and then type gpedit.msc into the dialog box and press Enter. Step 2: In the Local Group Policy Editor, navigate to Computer Configuration and then navigate through the path: Administrative Templates\Windows Components\File Explorer. Step 3: Double-click Configure Windows SmartScreen in the right column and then choose Disable option to disable SmartScreen Filter. Note: I have to suggest again that you create a system restore point before doing any changes on Registry. Step 1: Use Windows shortcut keys Win + R to launch Run and then type regedit into the dialog box. Step 3: Double-click the key SmartScreenEnable in the right column and change the value RequireAdmin to Off. Click OK to finish disabling SmartScreen Fliter. 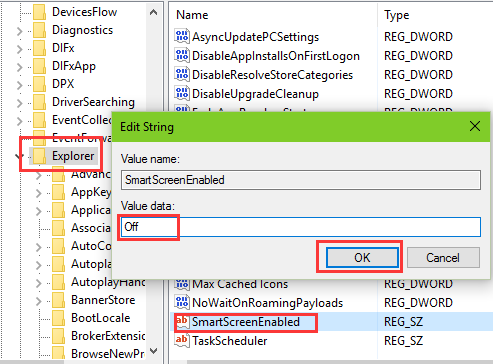 If you have any query related to disable SmartScreen Fliter or other Windows issues, please comment below, I will try my best to give you solutions.